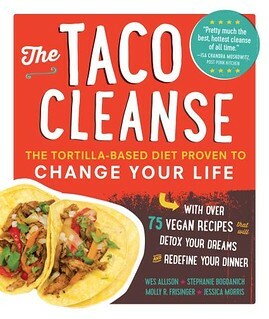 Taco Cleanse Day 11: What is a taco? would you call this a taco? Since I’ve been on the taco cleanse for 11 days now I’ve really given a lot of thought about what really is a taco. 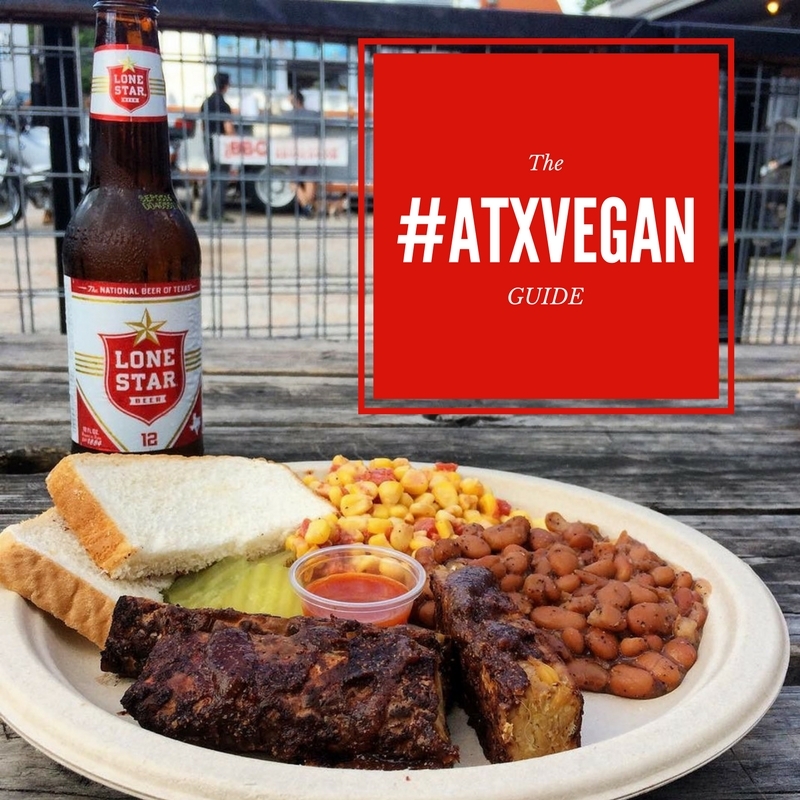 Since I happen to be vegan, of course I’ve been making and eating vegan tacos which btw is pretty easy to do here in Austin Texas. Recently, a blog that I love and respect implied that my tacos weren’t “real” because I am not eating pigs, chickens, cows, and other animals. While I certainly agree that vegan tacos aren’t culturally traditional, they do exist and are therefore real! I’m living proof of the reality of vegan tacos, I promise! I mean, are Taco Bell tacos culturally traditional? I know for some people, tradition is so important that they don’t want to see anything else and I can respect that. Sometimes I wish there was some respect in the other direction though. Maybe because of my life long love of Star Trek I am more of a future thinking kind of gal, but, it seems to me that the world changes all the time. Food preferences, especially, are constantly evolving. If they didn’t, Italians would have never embraced the tomato, a new world ingredient, and then where would we be as the human race? It’s hard to say really, except that we wouldn’t have marinara sauce and I would still firmly believe that vegan tacos are still tacos. Where I’m having more trouble is with tacos that aren’t Mexican or Tex-Mex inspired. We, the taco scientists, decided as a group the most important aspect of the taco was the single fold around a filling. Years ago I ate my first Dutch Taco at the Flavor Spot in Portland, I didn’t think twice about a waffle enveloped around a sausage as being a taco, even if it wasn’t close to traditional. But, over the weekend, when I folded a pancake around sausage and called it a taco it definitely seemed like I was cheating on the cleanse. Falafel wraps have come up several times when discussing the taco cleanse with other vegans (the stereotype of herbivores eating tons of hummus is probably the most accurate of all the stereotypes). Even though it fits the parameter of the single fold, I don’t think it’s a taco, but then if you stick the same ingredients in a tortilla they kind of are! I mean, there are Korean tacos and Vietnamese tacos all over the place so why not a falafel taco? On the other hand, the tortilla isn’t entirely critical because low carb dieters and raw food enthusiasts use the lettuce leaf and call it a taco and who am I to judge them. So is a pita ok too? All I know for sure is that a burrito definitely isn’t a taco. So, yeah, that’s what has been on my mind. Now you know more about what it’s like being a vegan on a taco cleanse. Please let me what you think below (although rude comments are always deleted). 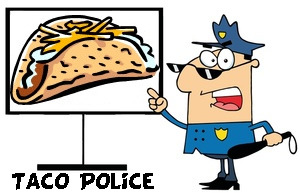 And yeah, if you are wondering, I’ve definitely been called out by the taco cleanse police. 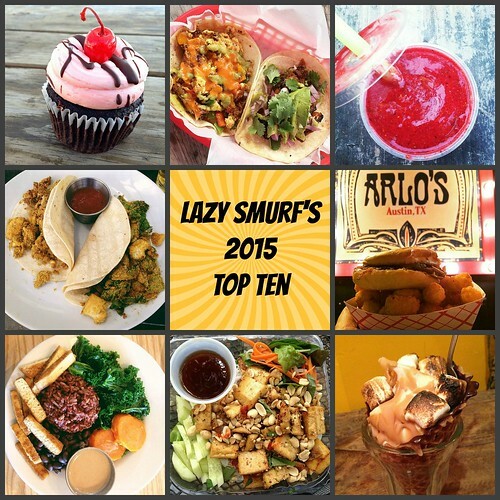 This entry was posted in Cooking and tagged deep thoughts, taco cleanse, VeganMoFo on September 11, 2013 by lazysmurf. If vegan tacos aren’t real, leave me in my fantasy world. YUM!! I’m pretty much of the school that if it’s in a single folded tortilla – soft or crunchy – it’s a taco. Other things are pushing it. Bwahahaha, I love that PSA! I have enjoyed reading all of your TC posts to date, and kind of adore you. I will be tuning in throughout mofo and beyond to read all of your upcoming posts! I’m pretty sure gyro is just greek for taco. I think there’s just an intuition. A hotdog definitely isn’t a taco, but there’s some wiggle room around the waffle/pita debate. Cows and pigs weren’t introduced to North America until the 1500s, which is after the taco was invented. The original taco contained small fish. This critic seems to think that it’s acceptable to have proteins other than fish in a “real” taco. Therefore, we have already moved on from tacos in their original form and it is perfectly acceptable to have vegan tacos. Can’t we all just get along? One day (or one month) eating a taco is better than no days eating tacos. Amirite? So, I’ve always had this niggling thought in the back of my head – a ton of “tacos” that I get in Austin are double-fold soft tortilla “tacos”. I get that it makes the filling stay put a bit better than a single-fold, but I’ve always thought that perhaps they were actually burritos. Well. In any case. 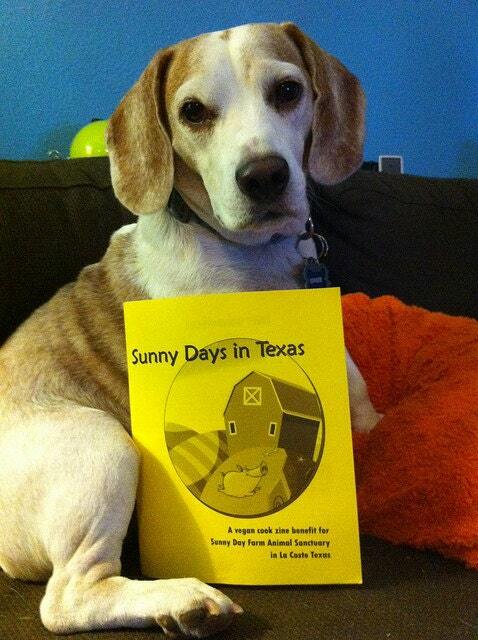 I have some tortillas in the kitchen, as well as some tempeh and tomatoes – I’m going to go make a taco now! 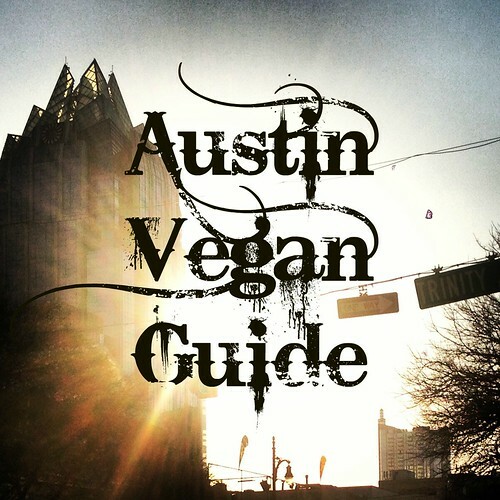 I don’t think I’ve had this experience in Austin, can you remember anywhere it’s happened? Not off the top of my head, no. I may be hallucinating. I’ll keep an eye out next time I’m there. Wheatsville! Bingo! I *knew* I’d had them somewhere. The breakfast tacos off the hot bar. I really intended to submit a thorough response to this post, but I keep thinking of your sausage-stuffed pancake taco drenched in maple syrup and I. just. can’t. Besides, Cassandra did it better than I ever could. 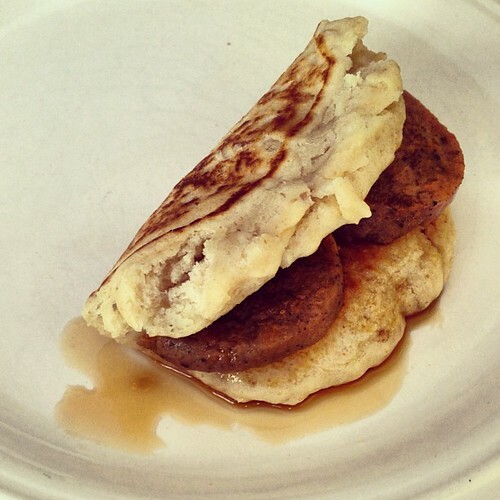 Pancake taco is totally valid. This is great, and fun to read. I recently to the Vegan Nom and my life was changed. What is a taco? Dee-freaking-licious, that’s what! Anything taco-ish counts as a taco for me. But I like to get creative about things. Also, note, there are traditional vegetarian/vegan tacos (http://www.seriouseats.com/2011/07/the-serious-eats-guide-to-taco-styles.html) Duh. Anyway. Yay for tacos! 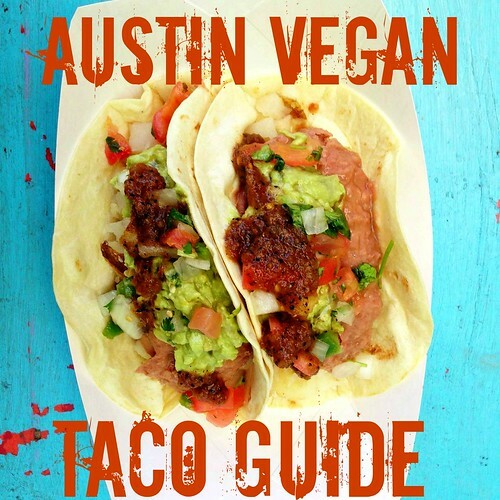 I love that guide to tacos, Jes! Vegan tacos = real tacos, end o’ story!